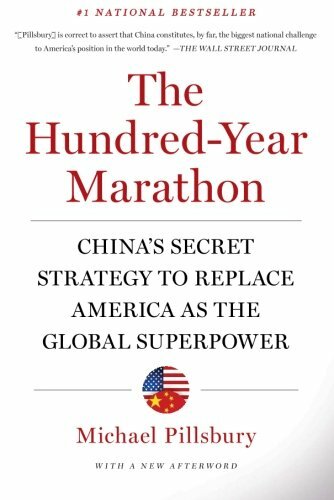 The Hundred-Year Marathon: China’s Secret Strategy to Replace America as the Global Superpower. Michael Pillsbury. New York, NY: Henry Holt and Company, 2015. The premise of Michael Pillsbury’s controversial book, The Hundred-Year Marathon, is alarming yet straightforward. Western strategic thinkers have been the victims of a massive deception campaign perpetrated by a group of Chinese hardliners (called the yingpai, or literally, the “hawk party”) who have convinced the West that China’s intentions are benign, but who are, in fact, driven by one overriding goal—for China to rise to the number one global power position and overthrow the U.S. as the world’s sole superpower. These hawks, moreover, are in the process of executing a top secret plan derived from ancient Chinese texts, and designed to manipulate in the present day conditions similar to those prevalent during the Warring States period (771-221 BC), allowing China to rise to the top of the international system. Additionally, the hawk faction is not simply a fringe or minority element within the Chinese system. It is firmly in control of the organs of state power and currently on trajectory to meet its goal by 2049, the end point of a 100-year marathon and the centennial of the founding of the People’s Republic of China. The West is quickly running out of time to forestall the clandestine plot’s successful implementation. If this conjures up images of a thriller from the pen of Dan Brown, it may be the intent of the author. Pillsbury inserts himself repeatedly into the narrative as almost a Robert Langdon doppelgänger. The reader will ride along with him as he infiltrates restricted bookstores in Beijing off limits to foreigners and then deciphers arcane tomes for clues that will reveal the yingpai’s hidden plot, interrogates defectors at safe houses in Washington D.C. and Paris as they fill in key parts of the puzzle—or double-cross our protagonist—and roams the corridors of power in capitals around the world where high-level meetings reveal a cat-and-mouse game played to either elicit or protect vital information. Much like the fictional Langdon, the real Pillsbury is racing against the clock to warn an increasingly complacent and entrenched bureaucracy that stubbornly refuses to recognize the existence of Beijing’s covert masterplan. The stakes could not be any higher. As Pillsbury breathlessly warns us, the yingpai plan to “condemn the world to—quite literally—‘smell, taste, and choke’ on Chinese success.” To those lost souls wandering blindly in the shadow of the Chinese Inferno, Pillsbury offers up his services as a modern day Virgil—lasciate ogni speranza voi ch'entrate. The Übermensch motif is moderated somewhat by a parallel strain within the text, where the intellectual journey of the author is examined in the form of a slow—sometimes painfully and inexplicably slow—evolution from a proud, card-carrying member of the “Panda Hugger” sect to the most vociferous member of the China threat side of the aisle. But this narrative exposes a problematic issue: to believe this transformation one has to consider how it was that Pillsbury misunderstood so much about the principles behind Chinese strategic thinking until so late in his career. As a result, the book’s strong conspiratorial bent seems to reflect Pillsbury’s attempt to account for this late conversion rather than a hard-nosed examination of how China’s rise will increasingly clash with U.S. national interests. There appears to be too much won’t-get-fooled-again-righteousness of the born-again convert in his insistence that he, and only he, has unmasked the true nature of the Chinese regime via the decoding of a clandestine machination haphazardly culled from disparate ancient allegories. This discordant tone is amplified by the author’s repeated allegation that Westerners who analyze China are woefully ignorant concerning the key historical periods influencing modern Chinese strategic thought. To a certain extent this criticism is fair, but many more people in academia and government service than he recognizes possess a sophisticated knowledge of both the Chinese language, the nation’s history, and the factors that drive international conflict. Not everyone needed to wander his long, solitary, and circuitous path to reach the epiphany that rising powers often seek to displace the ruling hegemon. Much of his angst appears to spring from the rather bizarre assertion that key historical texts are intentionally hidden from foreigners as part of the yingpai’s plot to keep the outside world ignorant of China’s true strategic intentions. This is pure fiction. Pillsbury claims the “Stratagems of the Warring States...has never been translated into English,” despite the fact that we have several English translations readily available to anyone who has an internet connection. The Guangxi Teachers' University Press even helpfully offers a bilingual edition. One can only assume this is in blatant violation of the yingpai’s express wishes. While an argument can be made these books lack a wide readership in the West, this deficiency cannot plausibly be pinned on the machinations of a shadowy cabal of Chinese bibliopoles. 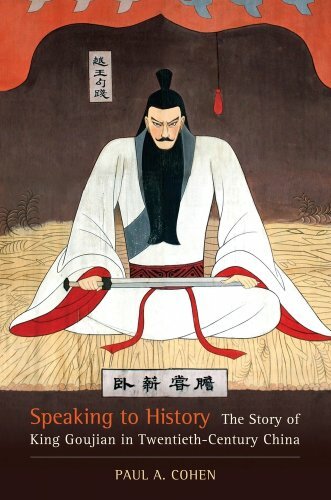 In the end, though, none of Pillsbury’s revelations—from debriefing high-level sources, accessing classified documents, or combing through these forbidden ancient texts—expose any deeper insight than one could have gleaned from simply reading Dennis & Ching Ping Bloodworth’s The Chinese Machiavelli: 3,000 Years of Chinese Statecraft. First published in 1976, the book mined China’s past, including the Warring States period, to gain insight into how Beijing viewed strategy in the era of Mao Zedong. Read today, it appears little has changed in terms of how Chinese strategists viewed the past in the eras of Deng Xiaoping, Jiang Zemin, Hu Jintao, and now Xi Jinping. If we are suddenly surprised by China’s growing appetite for global respect and deference in light of their sustained economic and military growth, this speaks more to our own negligence in preparing for potential threats before they fully materialize than to Beijing’s flawlessly executed master plan of deception. But the question of how China will use this past knowledge to drive current strategy deserves to be examined in more depth, and it is here that Pillsbury’s analysis seriously falters. As Voltaire once noted, “All ancient history consists of nothing but hackneyed fables.” Applying these fables to modern reality, though, should be treated with skepticism and care. Henry Kissinger opens On China by recounting with wonder the fact that Mao Zedong invoked a strategic principle from a 1,300-year old event to draw lessons for his contemporary war with India in 1962. But this is no different than American strategists today looking to ancient Rome and Greece for military analogies or political leaders explaining their governing principles by referencing stories from the Old Testament. Paeans to the so-called Thucydides Trap rarely include recommendations that the U.S. simply resurrect the strategies of either Pericles or Archidamus. Comparisons to the ancient past are only relevant when viewed through an abstract and generalized lens. Most scholars of China have asserted in a general way that China’s ancient past influences its present, but that it does so only metaphorically. However, those scholars lacked access to internal Chinese government planning documents showing how the Chinese explicitly use the ancient axioms. Nor have these scholars had access to Chinese defectors who previously held high positions inside the Chinese government. Yet, it is hard not to suspect that Pillsbury is prone to giving these ancient allegories more didactic weight than they deserve. He describes his debriefings with a Chinese defector whom he calls Ms. Lee. Her bombshell revelation is that the yingpai see direct parallels between Beijing’s current situation and that of King Goujian, the ruler of the state of Yue in the early 5th century BC. Following this debriefing, Pillsbury flies to China to confirm the reliability of what he believes is critical information with his Chinese sources, all of whom confirm their awareness of the King Goujian story and back-up Lee’s assessment of its popularity amongst the yingpai set. Pillsbury could have saved the cost of the airline ticket. The story of King Goujian, it turns out, is one of the most famous and oft referenced fables within the Sinic pantheon. Paul Cohen, a professor of Chinese history at Wellesley College, wrote an entire monograph on the influence of this tale in twentieth-century Chinese propaganda and compares its ubiquity to the story of David and Goliath in the West. Ironically, the allegory loosely parallels the plot of Rocky IV and inspires the same jingoistic pride in those Chinese who prefer to see themselves as virtuous underdogs battling against a powerful-yet-arrogant foreign foe who inevitably receives his comeuppance. So in using the state, if yi [righteousness] is established as your foundation, then you will be a true king. If trustworthiness is established as your foundation, then you will be a hegemon. If intrigues and schemes are established as your foundation, then you will perish. If the yingpai truly believe there is a trophy and world-wide acclaim awaiting them at the finish-line of their vaunted marathon, they are destined for disappointment. None of this makes the potential threat of hardliner influence on Chinese policy any less concerning. It does, however, call into question the need to recalibrate U.S. policy based primarily on countering what appears to be a yingpai fever-dream of hazily reconstructed, semi-mythical past glories. Historical analogies are important in terms of framing the debate over strategic choices and providing a useful short-hand amongst strategists, but they are only one of many factors driving policy development. Although tales of fearless warriors and cunning strategists of yore may influence the collective imagination of Beijing’s leadership, one can reasonably argue their current strategic playbook echoes Mackinder and Mahan just as much as Mencius or Mozi. Would the Chinese like to reach the pinnacle of world power, shape the international system to reflect Chinese priorities, and dispel the collective shame of being perceived as weak over the last two centuries? Are there hardline factions within China’s political and military circles advocating a more proactive and aggressive approach to both expanding and promoting Chinese national interests in the world? Will U.S.-China relations become more strained as China’s power continues to grow? Is the Chinese government currently implementing a secret plan designed to replace the U.S. as the most consequential global power by 2049 primarily through the execution of stratagems developed and perfected during the Warring States period? Reflecting on China’s ancient history is a worthwhile endeavor, but Pillsbury’s insistence that millennia-old texts reveal a detailed roadmap to understanding China’s current and future actions is woefully misplaced. He need not have waded so deeply into China’s murky historical waters to shed light on the ongoing rivalry between two powerful yet prideful nations. If the U.S. and China ultimately clash to the world’s detriment, it will regrettably be an all-too-familiar tragedy in the course of human affairs. John F. Sullivan is a former U.S. Army China Foreign Area Officer who served assignments in Taipei, Beijing, and Washington D.C. He is currently a student at the University of Hawaii’s William S. Richardson School of Law. Alexander Pushkin, Eugene Onegin, translated by Roger Clarke (Surrey, UK: Alma Classics, 2011), 15. Dr. Pillsbury combines both the Spring and Autumn (771-476 BC) period of Chinese history and the Warring States (475-221 BC) into one longer era which he labels as the “Warring States.” While there are certainly similarities within these two periods, this lumping together of eras is problematic from a historical perspective. There were also significant differences with respect to how political power was exercised and warfare conducted during these two timeframes, and not distinguishing these variations can too easily lead to facile conclusions. Dr. Pillsbury is inclined to conflate normal bureaucratic inertia with willful and malicious obstruction. He makes much hay about the U.S. translation service stubbornly refusing to commence the translation of a book in Chinese he considered vitally important “until [his] office in the Pentagon sent a formal request” [p. 117]. Having worked with this translation agency in the past, I can confirm that this is neither abnormal nor prima facie evidence of obstructing critical China analysis. As a bureaucratic arm of the U.S. government, they won’t do anything absent a formal request to commit time and resources to a major translation project. Pillsbury, 34. 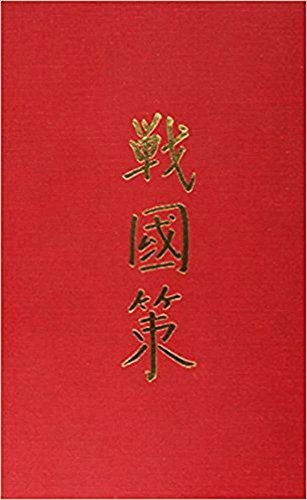 He is correct that Song dynasty historian Sima Guang’s Zizhi Tongjian (The General Mirror for the Aid in Government) has yet to be fully translated into English, but not because it isn’t taken “seriously,” as he claims [p. 20]. Instead, the fact that it is a massive translation effort (294 volumes) and in effect mainly a synthesis—albeit a highly skilled one—of other ancient texts already available in English most likely led to slower than expected progress. Dr. Pillsbury should be relieved to learn that the first eight volumes in English were published shortly after the release of his own book. Fortuitously, they cover the Warring States period. The story also provides the basis for one of China’s most popular idioms: “sleep on firewood and taste gall bladder” (臥薪嚐膽). The idiom references the hardships King Goujian intentionally inflicted upon himself while preparing for vengeance. In the story, King Goujian (Rocky Balboa) is initially bested by his haughty rival, King Fuchai (Ivan Drago)—although in the movie it is Rocky’s close friend, Apollo Creed, who is first fatally defeated by Drago. Goujian and his wife end up exiled deep within the enemy state, where he lives a life of harsh discipline and relentlessly trains himself in preparation for seeking vengeance, while also winning the support of the local populace through his acts of humility and benevolence. Fuchai, full of hubris and blissfully unaware of Goujian’s unquenchable desire for revenge, fails to heed warning signs of the coming danger. When they both finally square off for a rematch, Goujian unequivocally defeats his powerful nemesis and establishes himself as the most dominant champion of his time. Eric L. Hutton, trans., Xunzi: The Complete Text (Princeton: Princeton University Press, 2014), 99.